Maybe you’ve heard of Inky Deals before. If you’re the kind of person who’s always on the hunt for massive deals, monster discounts and insane bundles, then you likely know all about Inky Deals. They’re the website that’s always putting out amazing resources on a regular basis for a very good price. And boy, oh boy, do we have a killer new Inky Deals offer to tell you about today. 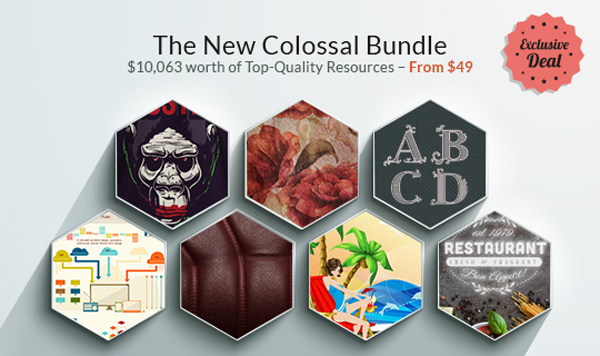 Meet The The New Colossal Bundle with $10,063 worth of Top-Quality Resources – From $49. The New Colossal Bundle wants you to like it, and we’re sure you will, once you find out about all of the special goodness that it has in store for you. Essentially, if you’re a fan of high-quality resources, then you just can’t pass up this Bundle. 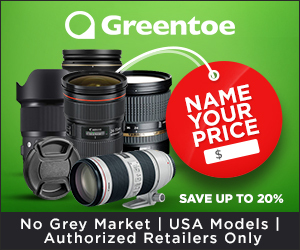 And because they’re our friends, they’re offering you an exclusive $9 discount coupon, so you can get this amazing deal at an even lower price! Use the code INKYCOLOSS9 at checkout. The coupon has expired alreday! Let’s say you’re a photographer with your own portfolio website. You can use to great effect the textures, fonts, ornamentations and other awesomeness in this deal to personalize your site. 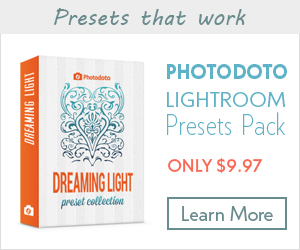 Let’s say you just enjoy the heck out of sprucing up your pictures—you can do that, too, with the aforementioned goodies in this deal. Read on to find out more about its special goodness, but beware. This stellar deal runs for just a limited time. In fact, it ends in two days. Take a look at that, why don’t ya! Let’s quickly add up the price of each bullet point, shall we? In sum, you get The New Colossal Bundle for just a measly $49 when the value of the entire bundle is a whopping and mind-blowing $4355! Let’s say that again, slower this time, for more dramatic effect: You only have to pay $49 for this stellar bundle, yet you’ll get more than $4300 worth of vector sets, vector illustrations, designs, texture packs and fonts! If you’re still with us and haven’t yet done a double-take from the sheer excitement of this killer deal, then congrats…and there’s even more value waiting for you, too. So let’s break this down for you in a way so crystal clear that even your grandma can understand what a hot, can’t-miss deal this is. This second bundle is worth an astounding—wait for it—$5708. Instead of buying it for a super-low price all by itself, Inky Deals gives you the chance to buy the DesignTNT Massive Library Bundle together with The New Colossal Bundle at an insanely crazy price of just $79. That’s a complete steal, which is putting it lightly! Look at this in another way, if you please. You can buy these high-quality bundles that are worth a combined $10,063 for just $79. You can’t even wrap your head around what a mind-blowing deal this is, so be sure to act quickly because this deal won’t be going on forever. Put another way: If you like high-quality design resources and saving a ton of money, then you can’t pass this deal up. Who doesn’t want to get more for less?! Whenever you buy something, it can be a pain in the you-know-where to be limited in your use of it. The deal only gets sweeter for you because there’s an extended royalty license that’s part of this deal. This extended royalty license more than comes in handy. What it lets you do is utilize all of the resources in these bundles in a virtually limitless way, but that’s not all. You have virtually limitless commercial and personal uses. As a very special bonus, you may even want to use the resources on merchandise like mugs, hoodies and T-shirts! Sometimes, websites will say that they offer a stellar deal, but it isn’t all that it’s cracked up to be. This is definitely not the case with The New Colossal Bundle and its complement, the DesignTNT Massive Library Bundle. You see, you have absolutely nothing to lose by trying this deal out. In fact, that’s not entirely true. You have nothing to lose AND everything to gain by taking a chance on these bundles! What you get if this deal fails to impress you is a 200% money-back guarantee! What? 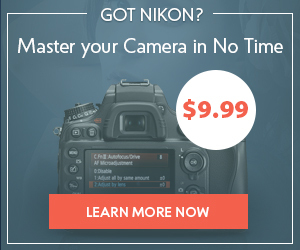 How can a money-back guarantee be 200%? Isn’t the best a 100% guarantee? Inky Deals has decided to go above and beyond what an ordinary website would offer you by giving you your money back and letting you keep the entire bundle—if you don’t like what you get in these bundles, that is. So, you see, this is really a can’t-lose offer for you. It’s a win-win situation that’s guaranteed to make you smile…a little bit broader than normal. As we mentioned above, though, you have to really hurry if you want to take full advantage of this great deal. It’s only going to last for another couple of days, so don’t you dare miss out! Unless, of course, you enjoy not saving money. 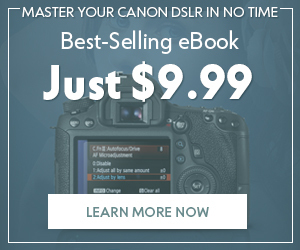 But if you value…the value of a dollar, then you have to go to the Inky Deals website right now and purchase this amazing offer. So what are you waiting for? Help yourself to a load of vectors, vector illustrations and textures at an unbeatable price.